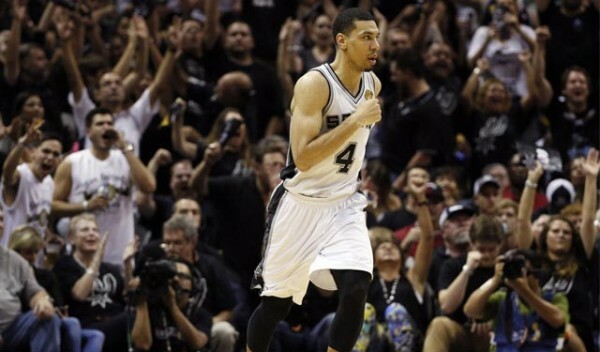 Not a max-contract kind of player, but still someone every team should have on their roster, Danny Green is very popular this offseason, with the San Antonio Spurs likely to lose him as the Detroit Pistons, Dallas Mavericks, New York Knicks, Sacramento Kings and maybe others are trying to sign Green. The 28-year old wing man who can play both shooting guard and small forward while guard all three perimeter positions is going to command a much better deal than his last one, which was for three years and $11.2 million. He’s in a different place. Then the Spurs pretty much saved him from finding his place out of this league. Now? Green might be looking to make $10 million a season on at least a three-year deal, and while that seems like a bit of a hefty raise, at least two of the teams on his list of suitors and meetings will pay him that kind of money. The Spurs? They are thinking about LaMarcus Aldridge, re-signing Tim Duncan, maxing out Kawhi Leonard. There will be money left for Green, but he’s a bit further down their list, not to mention they don’t really want to pay too much tax money. Green is going to be useful, at least on defense, anywhere he plays. While he’s no longer just a guy who hits open 3’s while the rest of the team helps to get him open through screens and spacing, he does rely on that part quite a bit, something few teams do as well as the Spurs on a consistent basis. Don’t be surprised if he finds himself on a team that struggles in that aspect of the offense, which directly effects Green’s shooting numbers (42% from 3-point in his career).